Karnataka Examination Authority (KEA) has revised the option entry schedule for the first round for Karnataka CET 2017. KEA has preponed the whole process. Earlier, the seat matrix was supposed to be declared today, but KEA published the seat matrix yesterday and the option entry for the first round which was due to start tomorrow began today. 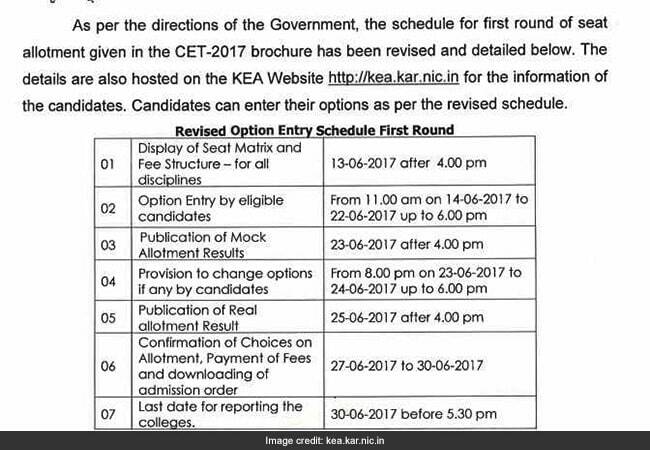 New Delhi: Karnataka Examination Authority (KEA) has revised the option entry schedule for the first round for Karnataka CET 2017. KEA has preponed the whole process. Earlier, the seat matrix was supposed to be declared today, but KEA published the seat matrix yesterday and the option entry for the first round which was due to start tomorrow began today. Eligible candidates would be able to enter their preferred options till June 22, 2017 upto 6:00 pm. 1. Eligible students would be able to enter their preferred options till June 22, till 6 pm. 2.KEA would publish the Mock Allotment result on June 23 after 4 pm. 3.After the publication of Mock Allotment result students would have the option to change their preferences from June 23 after 8 pm to June 24 till 6 pm. 4.The real allotment list will be published on June 25 after 4 pm. 5.Students who are satisfied with their allotment can confirm their choices, pay fee and download admission order from June 27 to June 30, 2017. 6.Last date to report to allotted college with admission order and other required documents is June 30. 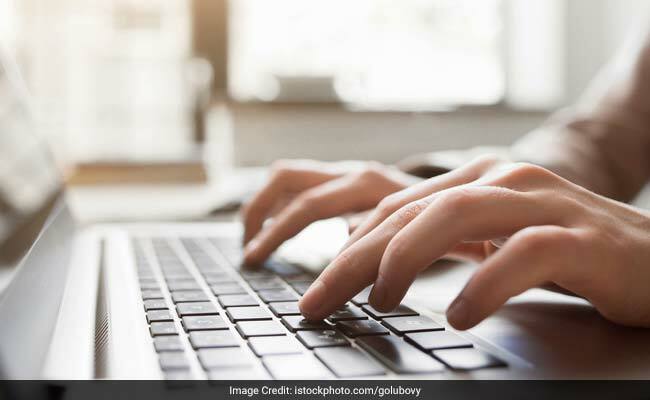 The detailed information about the process for Option Entry and admission process is available on the KEA official website, which is http://kea.kar.nic.in.